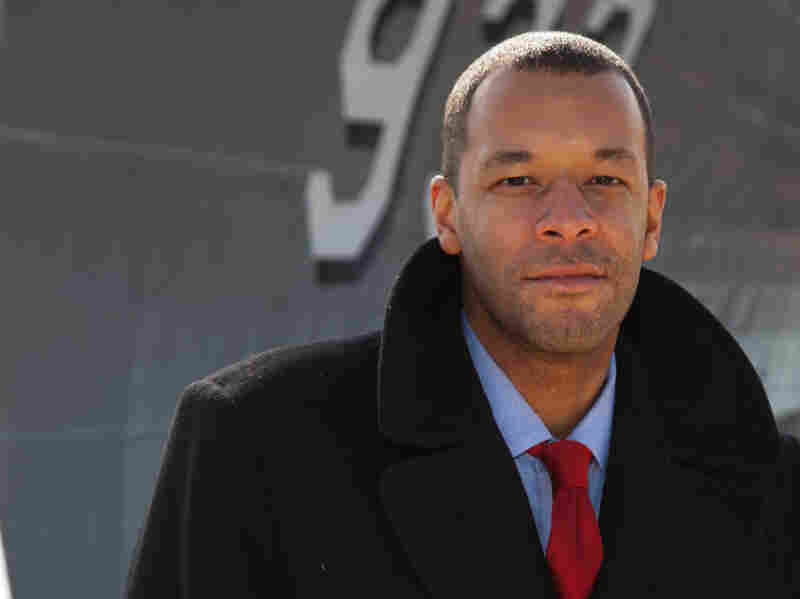 'Double V': The Fight For Civil Rights In The U.S. Military In his new book, The Double V, Rawn James Jr. argues that to understand race in America one must understand the history of African-Americans in the military. While the turning point came between the world wars, the struggle began with the American Revolution. 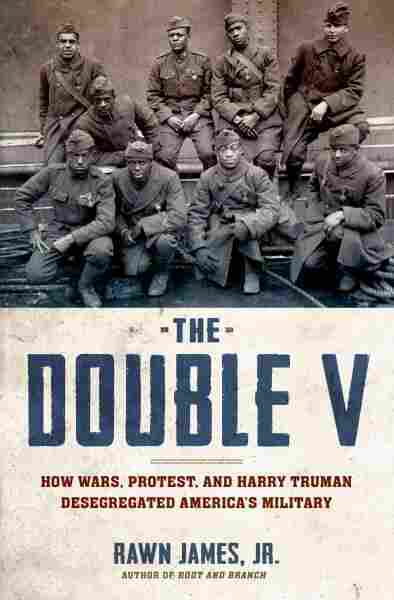 In his new book, The Double V: How Wars, Protest and Harry Truman Desegregated America's Military, author Rawn James Jr. argues that if one wants to understand the story of race in the United States, one must understand the history of African-Americans in the country's military. Since the country was founded, he tells Fresh Air's Dave Davies, the military "has continually been forced to confront what it means to segregate individuals according to race." In October 1775, the Continental Congress voted for the first time to keep blacks — enslaved or free — from serving in the military. Training blacks in armed warfare, the delegates believed, would lead to slave insurrection and trouble down the road. While many blacks fought for the Union in the Civil War, it wasn't until the 20th century that the military began to officially integrate. The black Americans who served in World War I believed that their service would earn them respect and equality at home. Instead, they returned to lynchings and race riots. These memories were still fresh as the United States prepared to enter World War II. "Many Americans understood that war was coming," says James, "and the tens of thousands of great black war veterans remembered what they had come home to [after World War I]. ... [T]hey were determined not to let that happen again, so they declared ... that their single most important issue was desegregating the armed forces and establishing equality in the armed forces. ... [W]hat became known as the civil rights movement ... began during the interwar period and, particularly, in the final months leading up to America's involvement in World War II. This was ... when African Americans collectively mobilized and began to fight for a single goal, in this case ... 'We must desegregate the armed forces.' "
"The Emancipation Proclamation had a greater effect on the Union Army than it had on the slaves of the Southern states because the Confederacy viewed it as an edict issued by foreign government. But the Emancipation Proclamation — in it President Lincoln invited all individuals who could serve — including African Americans — to come and serve in the Union Army. And what that meant was escaped slaves flooded the Union Army. They were very excited and eager to fight for the Union, and the War Department was so flooded with African-Americans that just five months after the Emancipation Proclamation, the War Department had to establish what it called the Bureau of Colored Troops, and that was to manage the paperwork and what it called 'all matters relating to the organization of colored troops.' 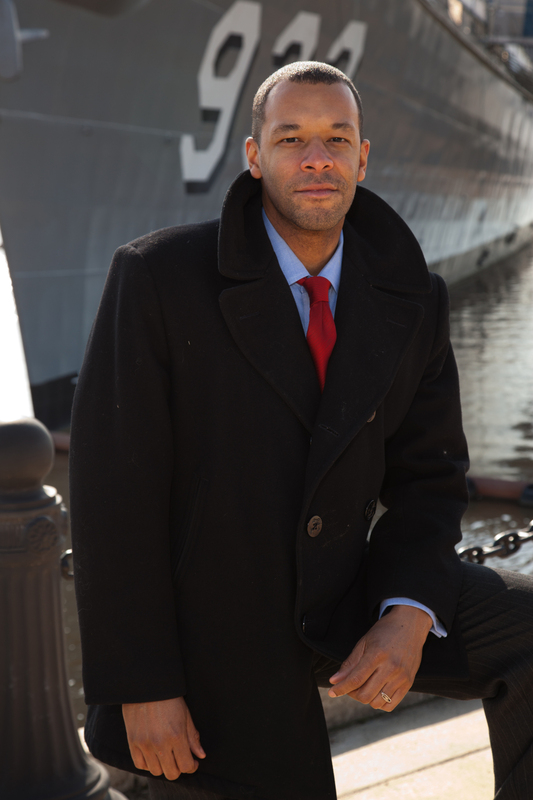 "
Author and historian Rawn James Jr. explores the integration of the U.S. military in The Double V.
"Even if these officers were going to be restricted to commanding African-American enlisted men, the officers learned ... on the ships ... that .. the army had no intention of treating them as officers. White enlisted men repeatedly refused to salute the African-American officers, and the officers, when they arrived, many of them were told that they would not see combat. They would be assigned to labor units. ... They were not permitted to fight. They dug nearly every grave for Americans in Europe in World War I. ... So the treatment that those officers received came as a bit of a shock and, in fact, many of them were embittered by the experience that they had during World War I, and they came back to the United States determined to do something about their predicament in the civilian world." "It's quite terrible what those men did. They were pushed to the breaking point. ... The soldier who stepped in ... to protect that young woman [who had been assaulted by white Houston police officers] ... there had been a rumor that he had been attacked and shot and killed, and ... by the time [the rumor] got to the camp, the rumor became that white men were on their way to the camp. ... So the African-American soldiers at the camp ... gathered all of their arms and they left the camp and they attacked the city of Houston, and they indiscriminately shot any white person that they came across." "They believed that by making the world safe for democracy abroad, that they would prove their mettle at long last and come back and ... have democracy here at home. They returned in 1919 to what became known as the 'Red Summer.' There were so many race riots up in the Northern states, and the brutal, terrible lynchings that occurred in the South. And the lynchings became endemic, so much so that they began to almost to become a separate judicial system in the Southern states. So what these soldiers returned to really was a situation ... even worse than when they had left. Soldiers were lynched and burned while wearing their military uniforms."